Narragansett Brewing recently did a collaboration with an iconic Rhode Island donut shop, making Allie's Donuts Double Chocolate Porter. 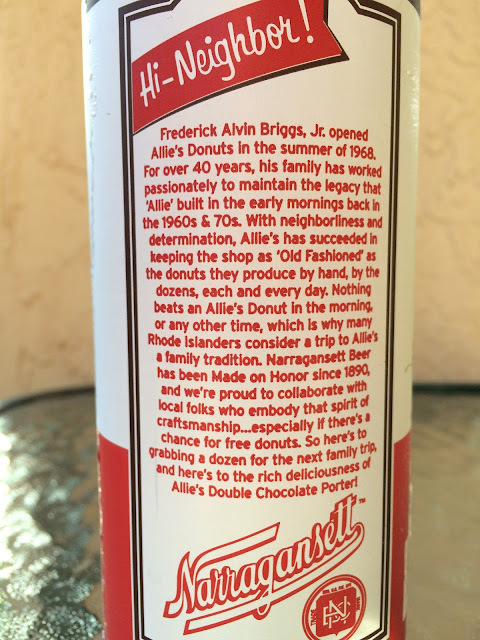 According to the story on my pounder can, a trip to Allie's is somewhat of a family tradition. So hell yeah! 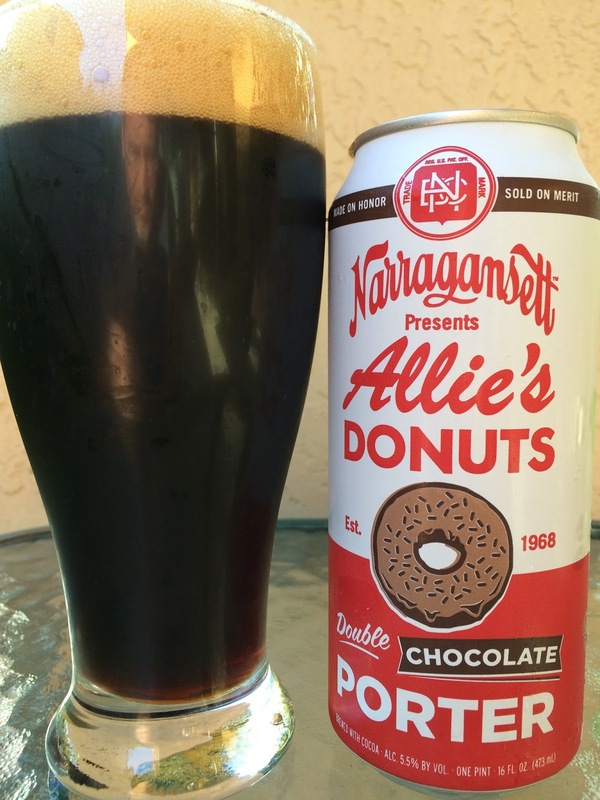 Time to make a beer to honor that tradition. 5.5% alcohol. Hi-Neighbor! Really nice aroma, like a bakery. Sweet cocoa and butterscotch are very inviting. Mouthfeel from the start is very thin, a little unexpected based on the smell. Cocoa and cola flavors start with just a touch of coffee. Light cinnamon spiciness. 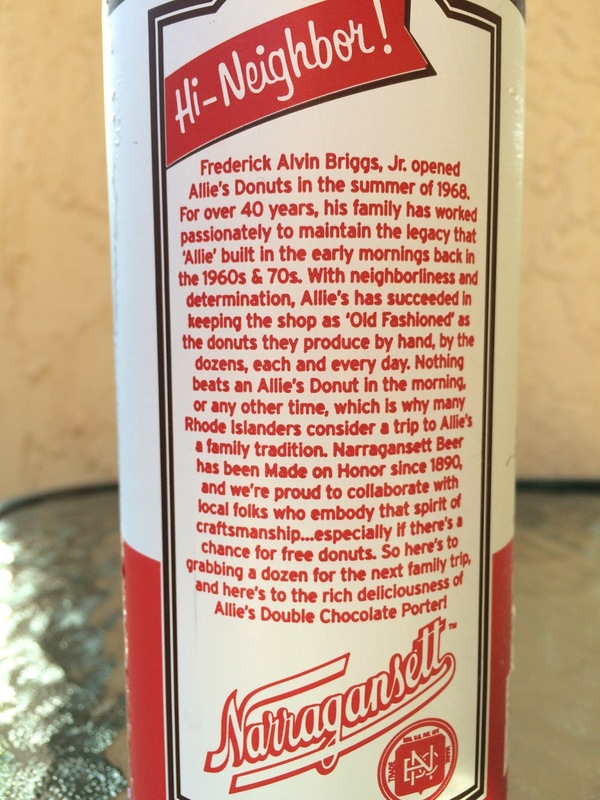 Creamy, nicely carbonated. But in the end sort of bland, especially for what the story and aroma promised. Was OK.